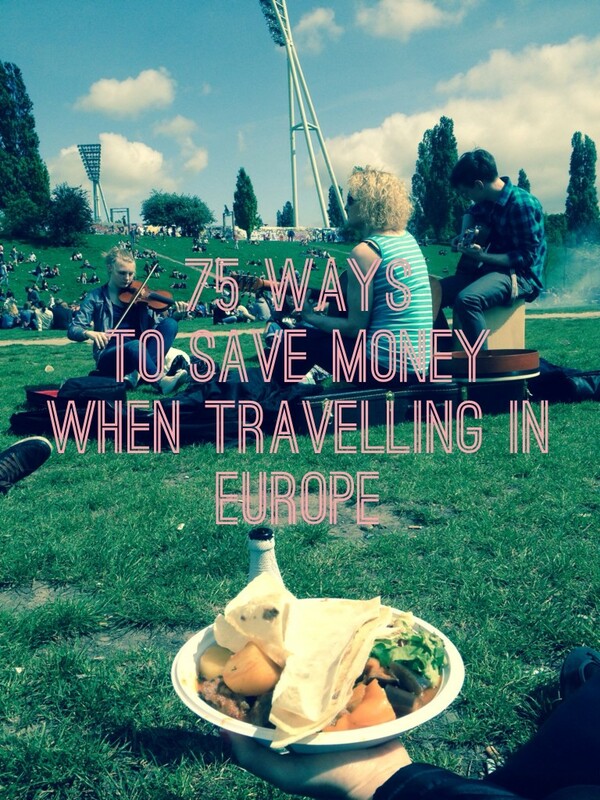 I have pulled together for you my 75 best travel tips for discovering Europe on a budget. The post is a summary of my best posts and tips till date on the BudgetTraveller. 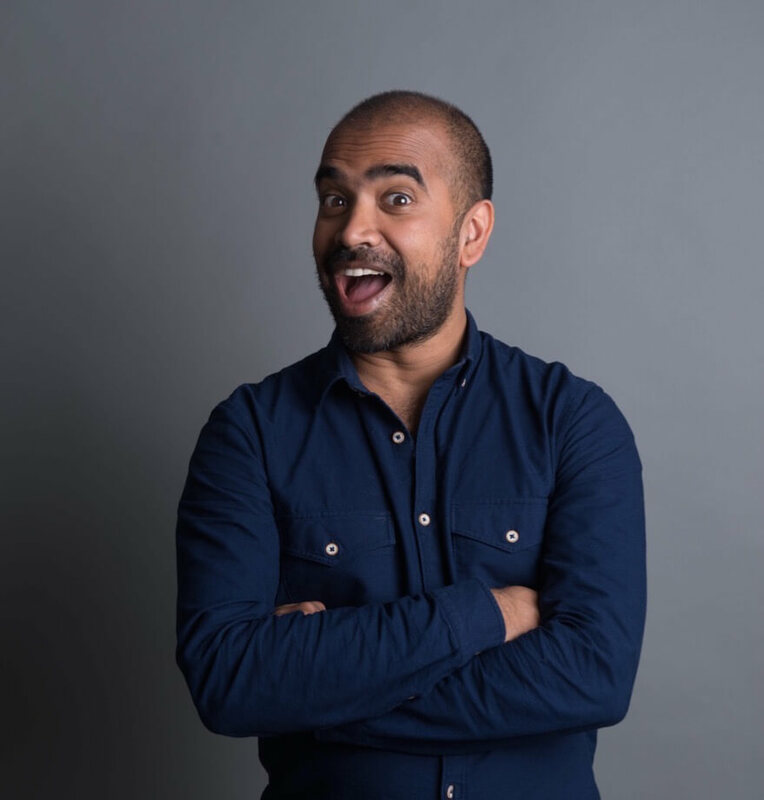 There are still so many cool new tips and hacks to discover ….so if I missed out anything , I’d welcome your tips and feedback below. 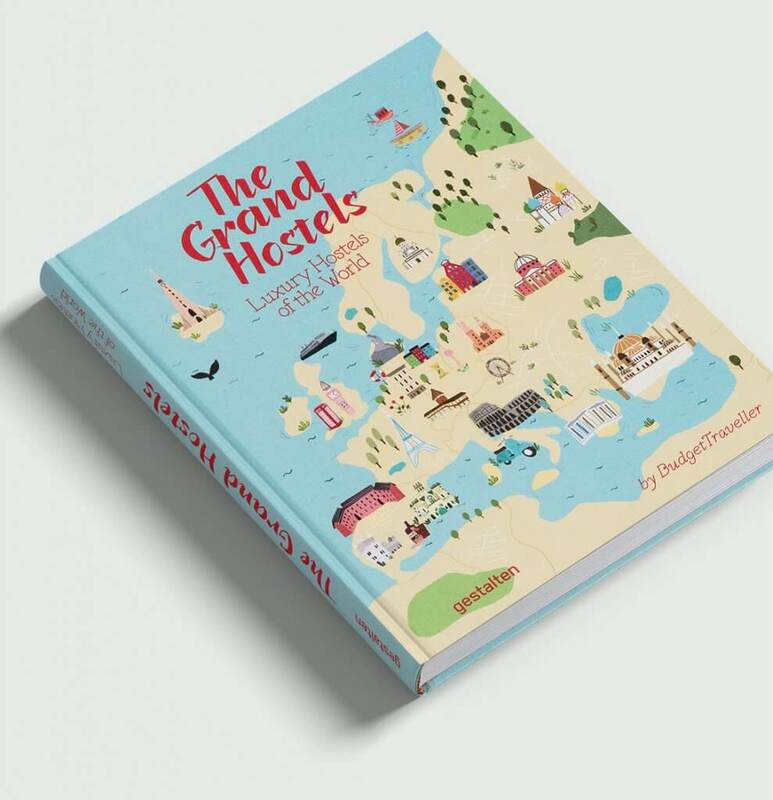 This book is also the story of 116 unique hostels and the amazing people who run them.The people who run these hostels were travellers like you who went travelling around the world and fell in love with the drug of meeting and connecting with people from all over the world. When they couldn’t afford to keep travelling, they started a hostel of their own so that they could keep alive that magical sensation of meeting with people and connecting. 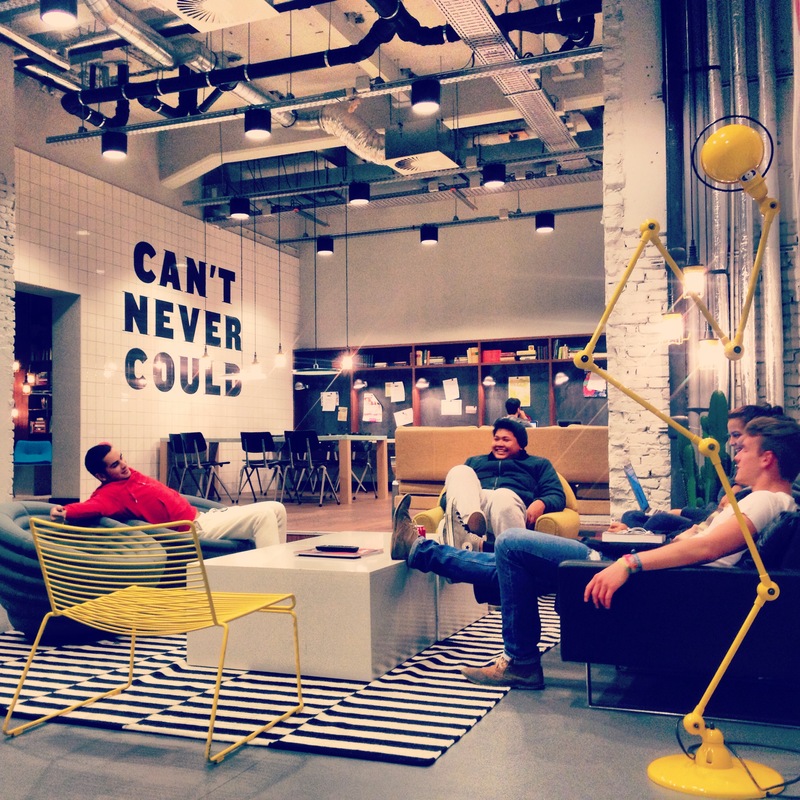 These hostels, are in many ways, their dream come true. In this day and age, when we live in a world ruled by idiots, despots and plagued by misunderstanding, hatred and indifference, these hostels are a beacon of light, bringing people together from all divides and making the world a better place. So when you buy this book and visit these hostels you are really supporting an ideal, a dream and in the process adding something new and beautiful to you life. 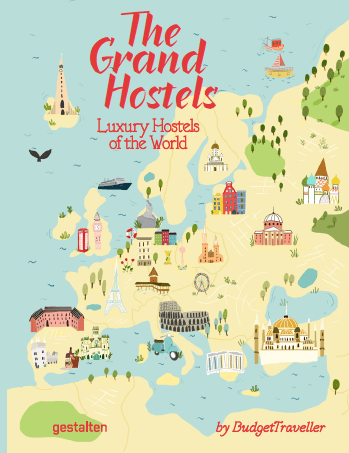 The Grand Hostels: Luxury Hostels of the World tells the story of 116 luxury hostels around the world-I’ve spent the last 1 year visiting and checking out these hostels. Each of these hostels is an experience and for me represents something pretty special. These hostels changed the way I travel, maybe they will change yours? Also definitely checkout Airbnb when visiting Europe. They have a fantastic range of places to stay and always offer great value. 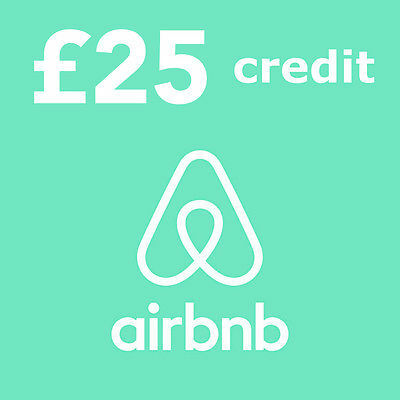 Tip: If you are new to Airbnb , signup using this link to get £25 off your first booking. 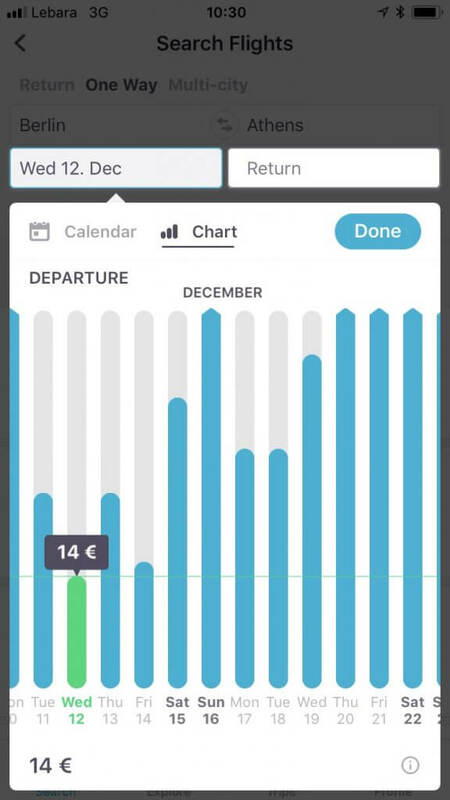 Skyscanner are my goto app for booking flights and now you can also book trains in the UK. Just plug in your dates and Skyscanner will find the best possible flight deals. My favourite feature of the Skyscanner app is when you can search flights to all around the world on any date or even for a whole month from a city. If you are flexible with your travel dates and destination, it is possible to find the cheapest possible destination on any given month. 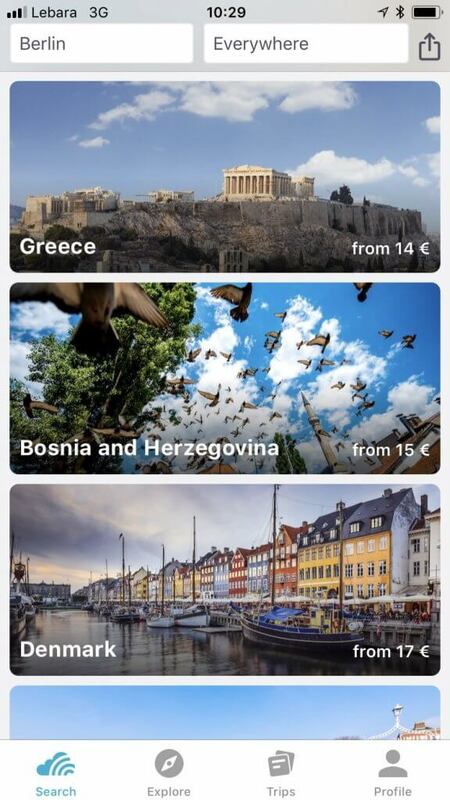 After finding €14 one way flights to Greece, I dig a little deeper and find direct flights to Athens on the 6th and 12th December 2018 for €14 using the handy calendar function. If you travelling from London to Paris Eurolines are currently offering rates as little as £15 one way from London to Paris. Hop over to Eurostar to checkout their brand new SNAP fares where you can get fares for as little as £19 one way booking 7 days in advance. Low cost bus company Megabus are currently offering 20000 seats for free on their UK network between the 9th January 2017 and the 9th February 2017. National Express offer £5 one way fares on many of their routes. If you want to see as much of Europe as possible but still want to have the spontaneous element, then Flixbus ‘s Interflix Euro bus pass for just €99 is probably the best deal in bus travel. The pass allows you to pick 5 direct routes from their 200,000 daily connections to over 1,200 destinations in 24 European countries. Besides a good frequency on all key routes, the buses also offer free wifi and generous luggage allowances. The pass is valid for 3 months. You have a few options when it comes to planning tours and activities in each city. You have free walking tours in most cities across Europe. Sandeman’s is the market leader and I’ve heard good things about the tours. Tours are comprehensive and you can tip the guide if you enjoyed the tour. If you are looking for more specific experiences , I recommend taking a look and booking your tours via Get Your Guide. Bit of planning can go a long way! This is actually the worst time to visit Europe. Prices are at their highest, everything is booked up, the cities are uncomfortably crowded and all of the locals are on holidays. Travel off-season instead for a more local experience. In winter, hotels can be discounted by upto 40% so you can get a great deal. Take a virtual trip to Europe. 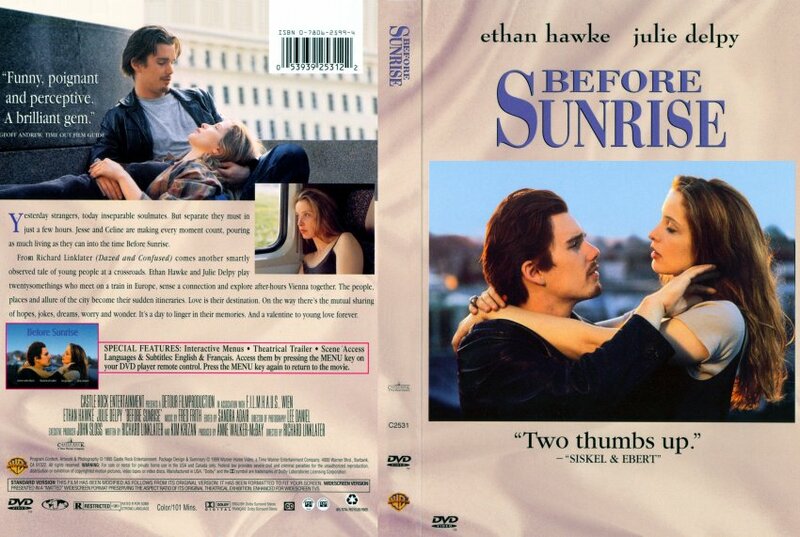 Here is a list of movies that have hugely inspired my travels in Europe-maybe they will inspire you too. Saving up for the big Europe trip? I also recommend you check out Adventurous Kate’s cracking post on how she saved $13,000 in just 7 months. If you are planning to pack in a number of visitor attractions, in the end , you save a lot of money when using these kind of passes. For example I saved a lot of money with the Oslo Welcome Card when visiting Oslo. Other great welcome cards is the Berlin Welcome Card which includes free public transportation and lots of discounts to sights, tours, restaurants, museums and more. Walk as much as you can, but if you can’t then use public transport over taxis; buy 24-hour, 3-day or even weekly public transport passes, which work out cheaper than single tickets. Join local workers at pubs for happy hours; check out local sports matches which are often free or cheap; and if you see a local fair or festival advertised, get along to it. All of these things can provide a terrific insight into how people lead their lives and be just as rewarding as visiting a major visitor attraction. Roaming charges and accessing internet abroad is still ridiculously expensive so my tip here is to go local and get yourself a local internet data only simcard. If you can unlock your phone, brilliant. If your phone is locked then I suggest buying a mobile wifi (mifi) device which costs around €50. I’ve written a guide to how to get the best deal on mobile internet in Germany and Italy. In terms of making free phone calls to friends and family- you’ve got FaceTime (if you both own an Apple phone) or try the Viber app ( free to download) or Skype. Skype offers fantastic rates so I highly recommend them. The other app that I find very useful in terms of free messaging is Whatsapp which is free to download. Use bikes or try trains, especially regional and local trains, which can be very cheap in countries like Poland and Hungary. If you can, travel by bike. Travelling by bike not only saves you money, it’s great for your health plus you can sign upto the Warmshowers website. 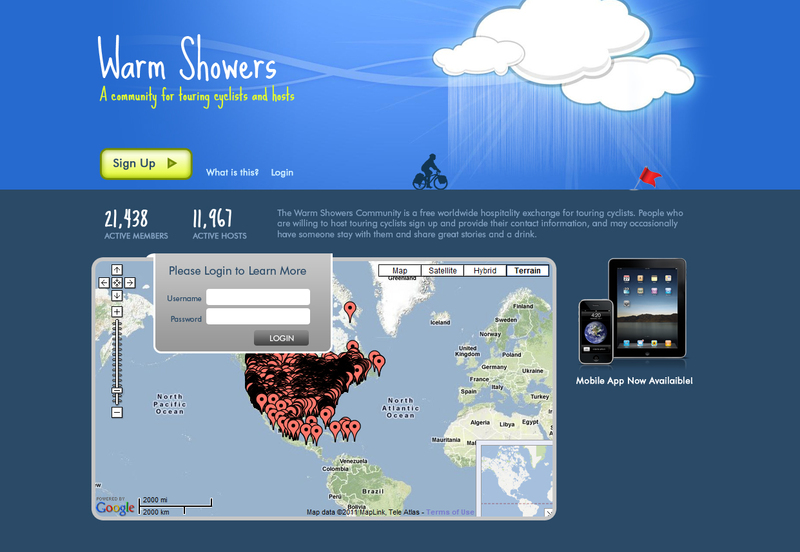 Warmshowers is like couchsurfing but for cycle tourists. The website and community matches hungry, shelterless cyclists with lovely locals who are willing to accommodate them. The emphasis is on an exchange of experiences and cultures rather than an exchange of money. If you can plan your Euro trip well in advance, there are some great savings to be made from booking train fares in advance. 14. Take the night train? A great way to save time and money when travelling across Europe is by taking the night train.There are lots of sleeper trains between major cities in Europe and they are comfortable and convenient. For example you can take advantage of Deutsche Bahn’s excellent SparNight promo fares where you can go from Amsterdam to Copenhagen for around €29-€49 range. 15. Travel with a friend or partner? Travelling in Europe is still not as solo travel friendly as you might think it should be in the 21st century. Lots of hotels charge supplements for single travellers which is unfair. Plus single rooms tend to be quite basic and stripped down. The cost of a double is almost the same as a single so if you can travel with a friend or partner, great. Otherwise, I’d recommend choosing a luxury hostel. 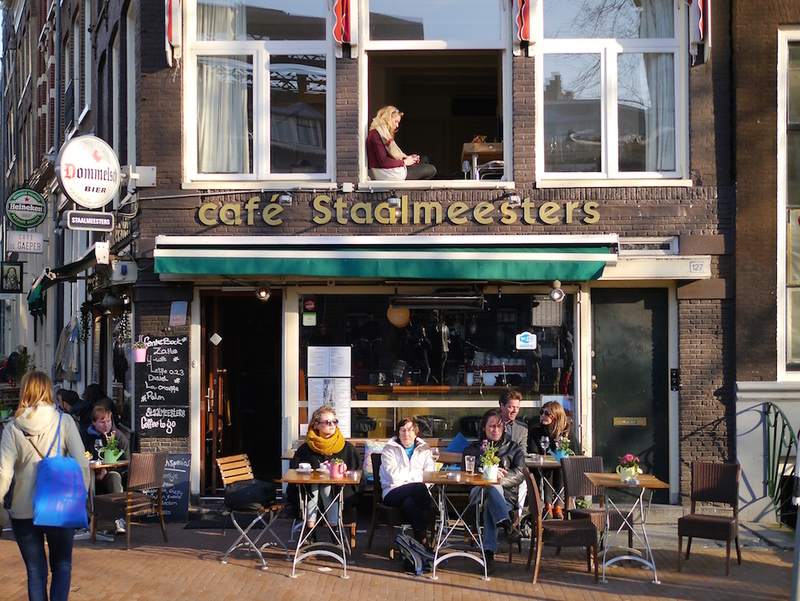 Plus do check out the crowdsourced fantastic free guide that the Solotraveler has launched which gives a lowdown of all the best solo friendly places to stay across Europe and the world. 16. Fly with a low-cost airline? Thanks to the low-cost airline revolution that was inspired by easyJet and Ryanair, travelling across Europe is a lot cheaper. Even with hidden extras like paying for checking in your luggage, their prices are pretty good, especially over longer distances. To get the best fares, book and plan you trip far in advance as possible. 17. Hate travelling by Bus? Maybe it’s time to reconsider this. There is a new revolution of low-cost luxury bus travel sweeping across Europe. 18. Solo-travel across Europe, on a budget? You may also want to checkout Busabout, as an alternative to Interrail. 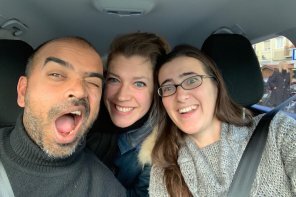 They offer a hop-on-hop-off bus pass across Europe which offers a lot of flexibility and also it’s a great travel network to connect with fellow solo travellers. 19. On a non existent budget- How about hitchhiking? 21. Don’t withdraw money abroad from an ATM. You are likely to get a very poor exchange rate from your bank and be also charged a fee for every withdrawal. Don’t leave buying your travel currency till reaching the airport-you will get ripped off. Apartments are excellent but if you are looking for cheaper alternatives, you should also consider hostels. There is a new breed of family friendly hostels popping up across Europe. Rent an apartment, shop at the local outdoor market and cook your meals to save money on your food bill. I recommend HouseTrip and HomeAway . Stay at one of the budget hotel chains like a Travelodge or an Ibis on your next trip to Europe. If you are just looking for a cheap, comfortable sleep- these hotels are a great option. 27. Considered staying at a cool budget boutique hotel? 28. Stay away from the city centre. 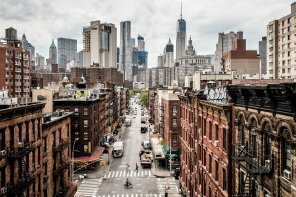 In almost every major European city you can get significantly cheaper prices if you are willing to stay away from the city centre. You pay little more and get more better value. 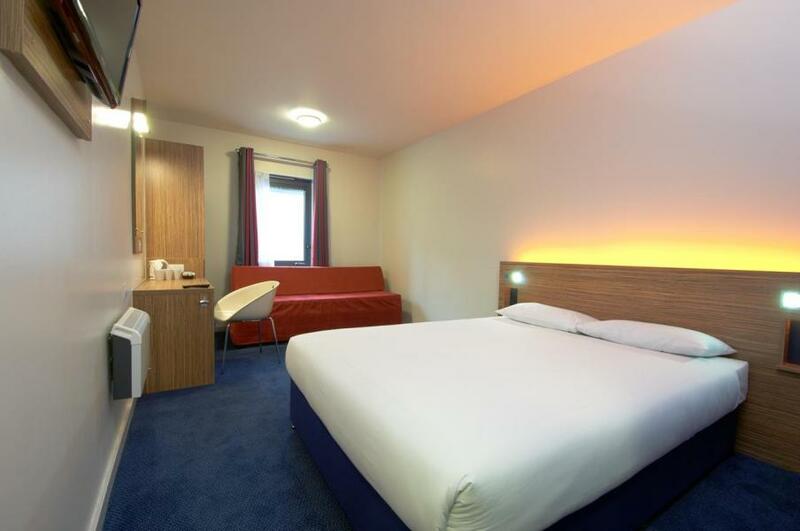 If you choose to stay with a budget chain brand like Travelodge in the UK , the family room costs the same as a double room. Another cool option for finding free accommodation in Europe is trying out Housesitting. For the unintiated, James Cave did an excellent guide to Housesitting on the BudgetTraveller recently. 33. Finding decent affordable and nice accommodation in London , Paris or Edinburgh? I was visiting London in the summer last year and struggling to find anything had decent below £100 a night until I discovered University Rooms. I can’t think of a better deal for central London. For example searching in the 1st week of September, I can find a single room with breakfast in Bankside House, Southbank ( as central as you can get in London) for as little as £45 per person, per night including breakfast. The rooms are no frills but comfortable for the night. They have bed and breakfast or self-catering budget accommodations scattered across 120 cities worldwide so do checkout their site. Visit Porto , one of the most underrated cities in Europe. It has a beautiful location by the winding Douro river, stunning architecture, amazing gastronomy and a cracking nightlife. Here is little glimpse into what life in Porto is like and also the lowdown on what might be the world’s best hostel. For more about Berlin, I highly recommend Uncornered Market’s excellently researched and comprehensive Berlin resource guide. 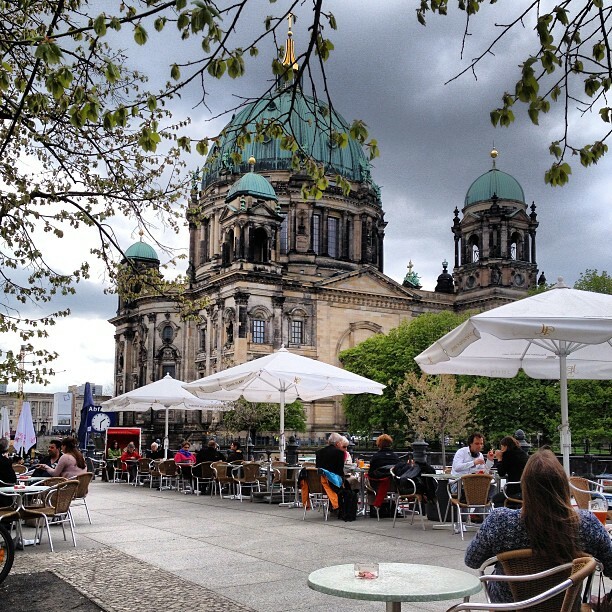 Also there is so much more to Germany than just Berlin. I did a roadtrip across Germany for 2 months last year and compiled a bunch of FREE 48 hour guides to Hamburg, Bremen, Hannover, Dusseldorf, Stuttgart, Nuremberg, Munich, Dresden, Leipzig and Rugen Island. 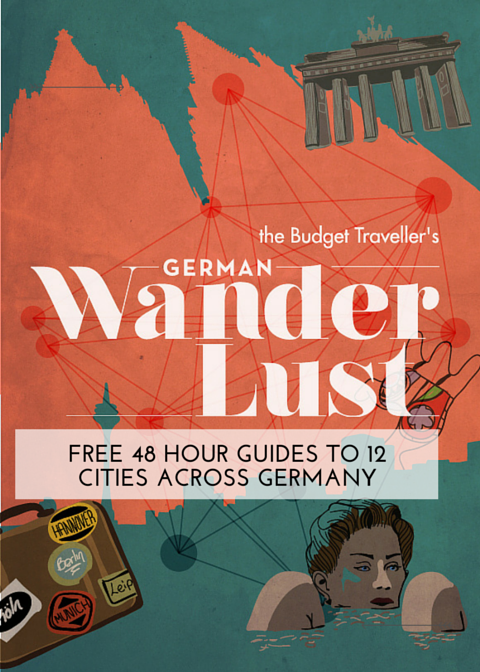 Even better, I spent a maximum of €150 in each city so if you are cash-strapped check out my guides on my Germany on a budget resource page. I recently visited Malta and Gozo and contrary to popular belief, the island is very budget friendly and definitely worth including if you are backpacking away around Europe. For example you can get one-way fares for as little as €40 in April 2015 from Italy to Malta with Ryanair. For more details have a look at my 21 things to do in Malta & Gozo piece. Limit eating out to once a day and if you’re a foodie go to a gourmet restaurant for lunch rather than dinner when many restaurants offer great value set menus and business lunches. Cook in to save money. 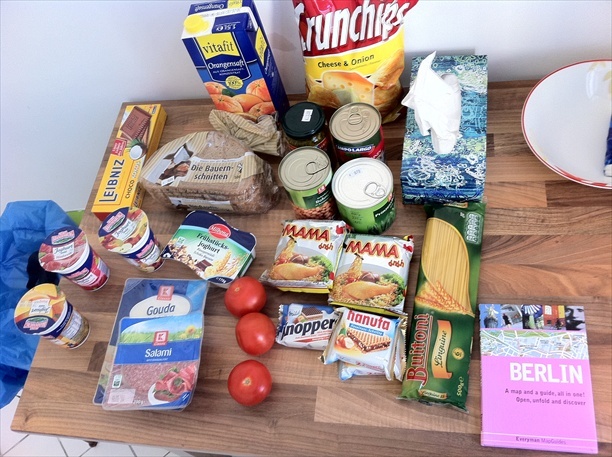 Many hostels ( like Loft Mountain Hostel ) have amazing kitchens where you can prepare your own meals. 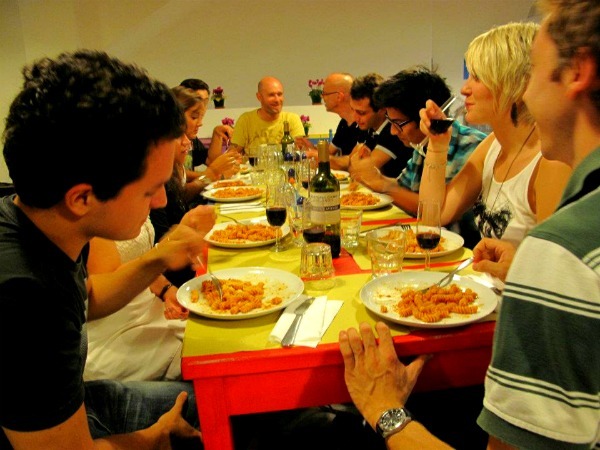 An advantage of holiday rentals and most hostels is that you can cook in a kitchen and cooking can be great fun if you’re travelling with friends, a couple, or family or for bonding with new people who are staying at the hostel. Buy your groceries at local markets; look for farmer’s markets and watch what the locals are buying to get the best deals. Ask the hostel/apartment owner or receptionist where they shop, as they’ll know where the bargains are. Public parks and gardens can be a great source of entertainment; take a picnic lunch and take in the action and just delight in how differently people live their lives in other places. In Spain the cheapest way to eat out is by ordering the Menu del Dia-a fixed price menu which is offered to guests at lunchtime. The menu consists of a first course, second course followed by a dessert and coffee. Aperitivo. Ostello Bello Hostel, Milan. 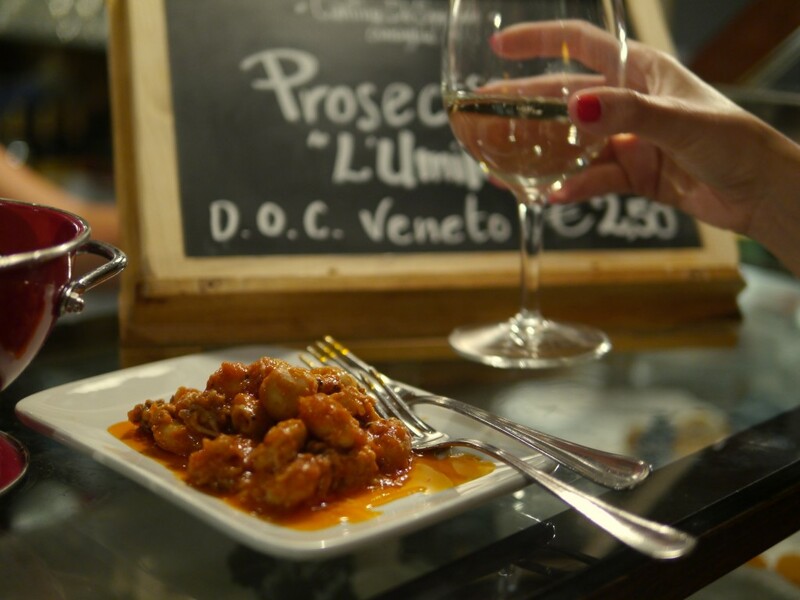 In northern Italy, the cheapest way to eat out is in the evening when you can go out for an ‘aperitivo.’ The hours are generally between 7 and 9pm. You order an ‘aperitif’ –glass of wine or martini ( around €6- Beer/Wine. €8 cocktails ) and you get access to a buffet or some tasty snacks are delivered to your table. The general rule of thumb is to have one plate of food from the buffet with one drink. I always go in for seconds though…..
46. Check out my cheap eat guides. 47. Cheapest beer in Europe? 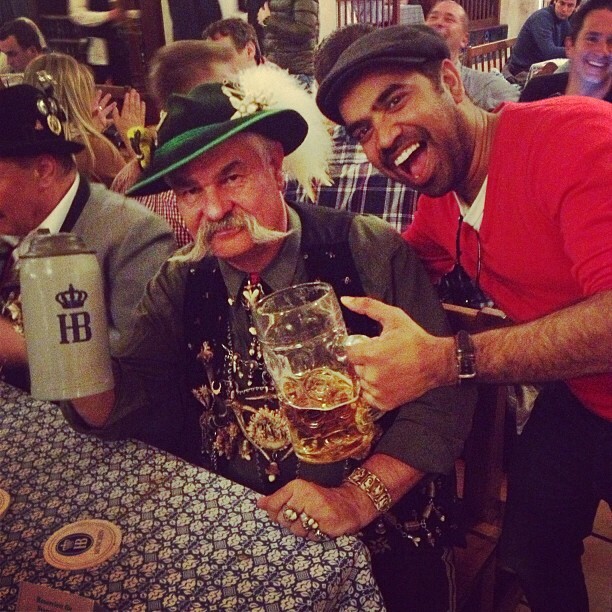 Do you decide which city to visit in Europe based on how cheap the beer is? Then you should definitely check out my Europe cheap beer index which gives you a lowdown of what beer prices to expect across Europe and where you can find the cheapest pint. A panadería (bakery) in Spain or Padaria ( Portugal) will often have fresh hot pasties aka empanadas( ESP) / rissois (PT) , making a light lunch for around €3. 49. Head for the caffeteria in Italy. It may not sound so attractive, but in Rome and other Italian cities, the tavola calda (caffeteria) offers cheap homemade food at lunchtime for locals on a budget. 50 When in Italy…eat at the bakery. Bakeries in Italy prepare products that are economical, fresh, and support the local economy (unlike most supermarkets). 51 Free tapas in Spain? A tradition that is dying out in many parts of Spain, search hard and you can still find traditional bars serving tapas (small dishes) with every caña (small beer, €1-2 ) Your best cities for enjoying free tapas are Granada ( All along c/Elvira ) Leon (Barrio Humedo area) and Salamanca ( c/ Van Dyck). 52 Athens cheap eats ? At the €2 mark: Savvas & O Thanasis are two of the best gyros & souvlaki joints in town, on Monastiraki Square, right across from the Metro station. 53 The best menu del dia in Madrid? The no-nonsense €10 menu del dia at La Sanabresa (www.restaurantelasanabresa.com), just off Plaza Santa Ana is one of the best deals in the town. 54. Go to a free concert in the Vondelpark. There are all sorts of free concerts from June-August, Thursdays till Sundays. 55. Free music concerts across Europe? Here are some more tips on finding free music concerts in Amsterdam, London, Paris or Berlin. 56 Best Free London Museums? 57. Remember that entry to state run museums in the UK is free of charge for people of all ages. 58. In Italy, families can take their kids under 18 for free to state run museums like the Uffizi. 60. In Paris, plan your trip around the first Sunday of the month when all the main museums are free. 64. Free art in Madrid! 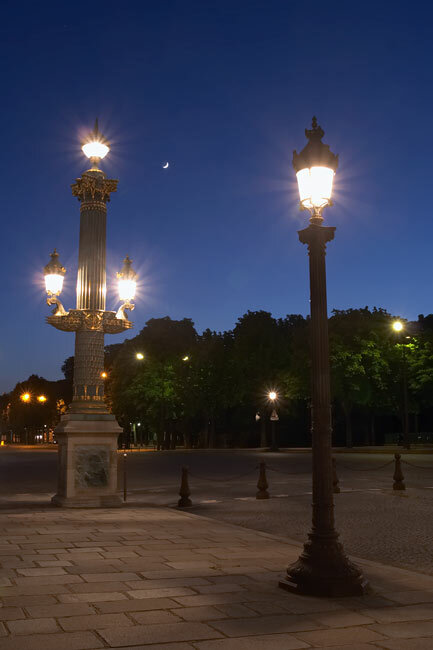 Walk the streets of Paris by night or in the rain. For free. No Gill Pender included. 65. How about 2 days in Paris with just €100 ? 69. Save money and keep cool in Rome and Venice’s heat by refilling your water bottle with fresh spring water running freely from their fountains. If you’re only planning a quick coffee in Italy, walk to the bar, order it and stand there to drink. Sitting down can treble the price. There are free festivals and then there is the Free Fringe in Edinburgh, the rebellious, lesser known cousin of the Edinburgh Fringe Festival that takes place in August. Last year visitors enjoyed over 4000 performances from 365 different shows. There were 40 *5 star* and 140 *4 star* shows to give you an idea of the quality of the festival. 72. Check out a free open air film festival? 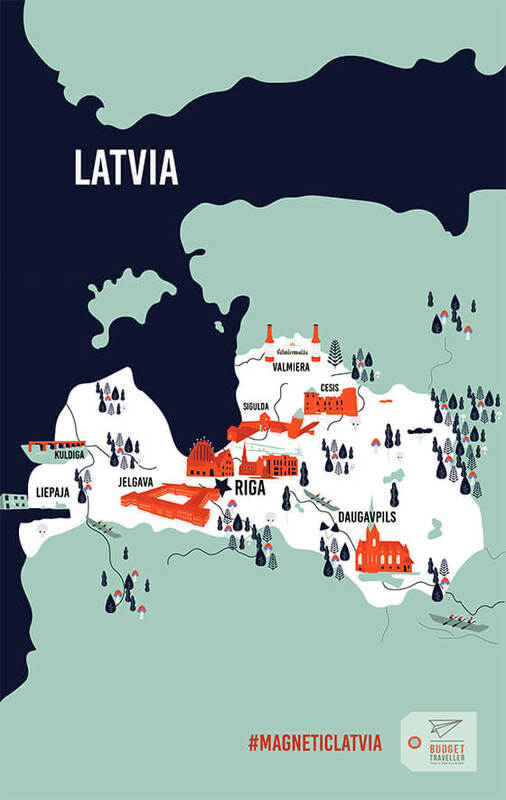 In many cities across Europe you can find free open air film festivals. For example in Amsterdam you can attend Pluk de nacht: One of the best free open air festivals, with national & international films and documentaries. 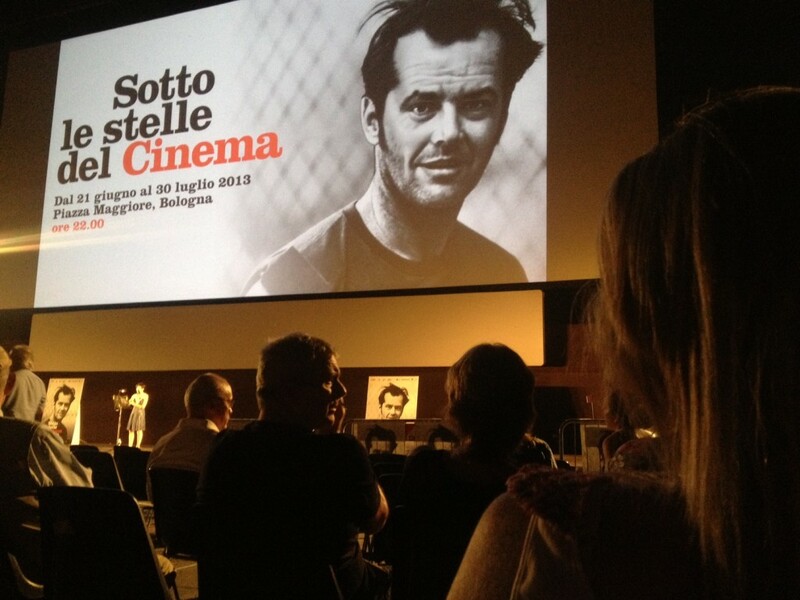 Visit Bologna from end of June till end of July for their annual open air film festival, the Sotto le Stelle del Cinema, held in Piazza Maggiore. For more about this festival and what to do in Bologna check out my 48 Hours in Bologna. 73. Cheap alternative to Greek Island hopping? Take Athens metro down to Piraeus then hop on a ferry for a day-trip to one of the Saronic Gilf Islands: Hydra, Poros, Aegina. While I am not the biggest fan of guided walking tours I know many travellers swear by and love free walking tours so it is something I recommend you check out for yourself. Sandeman’s New Europe operate free walking tours on a tips only basis across all major cities in Europe. For a 1-2 hour free walking tour you could tip anything from €5 upwards. Next articleJohannesburg, in 40 pictures & 20 songs. My question: to quit visiting cities that have not all inclusive pass? It is nice if cities offer an all-inclusive pass that gives tourists access to public transport and local attractions. Nevertheless, for some cities you don’t need a pass. Like Edinburgh for example. City is pretty compact and walkable. All the museums are free. 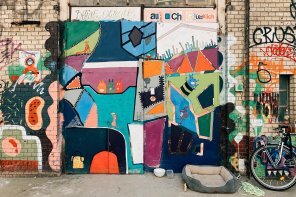 Zurich, Switzerland has released a website with free things to do (German only). Get Google translate and enjoy one of the most expensive cities on earth. It is the most common question we get asked after traveling the world. How can you afford it? 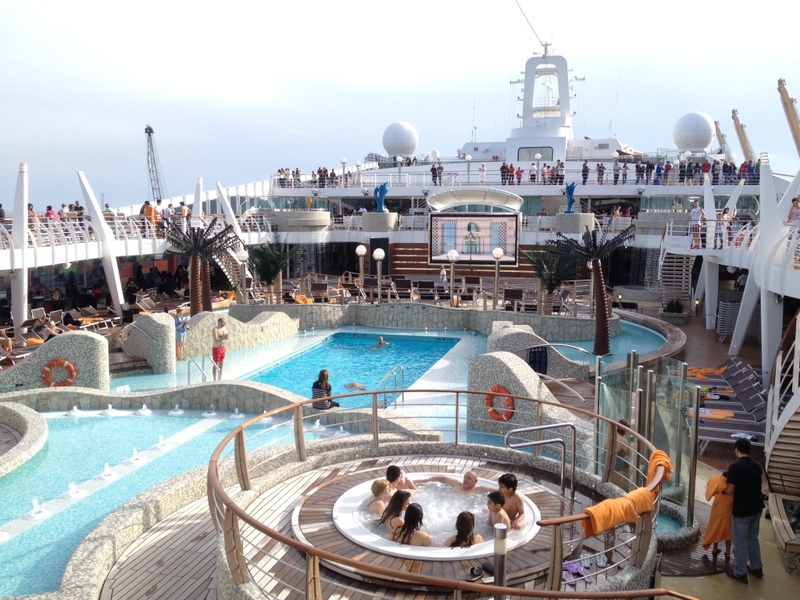 As you mentioned, if you really want to travel, it should be easy to give up a few luxuries and save for that epic trip! We have now seen over 100+ countries with fairly average wages so yes, it is possible! Keep on traveling and sharing that passion! Happy travels! wow.. you have tips that much. hoping someday i also can travel to europe and try your travelling tips. Excellent article! I had totally taken Portugal off my list, but its back on. I will also try Rome in August like you said 🙂 All-in-all, very well put together article. Bookmarked 🙂 Thanks! Oh you got to come to Portugal. So much to love about the country-great food, amazing coastline, Lisbon is a dream, Porto with its grand art deco architecture and beautiful river…then you have the island I live on: Madeira…the pearl of the Atlantic, island of eternal spring. Plus its so cheap. Plus the best hostels in the world! Very interesting article ! Travelling in Europe can actually be a lot expensive, and more particular in London, UK. I work in an events promotion company there and the prices for a living are so expensive, it’s crazy. I hope to move in a different country next year and will for sure follow your hints. Thank you for all of these awesome tips! Me and my friend Brianna are currently driving from Russia back to the UK and are seriously broke. We’ve been researching a ton of ways to travel Europe for free and so far, a lot of the tricks we’re using are working! Amazing post dear! I really want to travel but budget is a big issue for me!! I’m still a student but my head says I want to travel. After my graduation, I am going to enjoy the most beautiful amazing country. One of the best articles I’ve seen on European travel. My family have an apartment out in Portugal so I know how gorgeous and cheap it is. Roll on 2017 as I hope to get away 3 times to Europe! this article is good for who travelling to aboard every year. Last year i was wend to Europe but travelling in Europe can actually be a lot expensive. The family travel tips that we’re going to share with you and our stories are very specific to what it’s like for us traveling with our specific little boys. If you have other tips or contrasting thoughts about how to handle family travel and hotels, please go ahead and leave those in the comments because other people probably could use your advice too. These are some very helpful and worth saving tips! 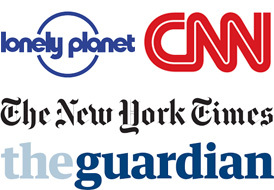 This article makes traveling so much easier! Great article. Thanks for sharing these helpful tips for saving money while travelling. This is the best articles I have seen about Euro travel. Thank you very much ! I need your help , together with my friend we would like to explore Europe next summer . We want to plan our adventure beforehand so that we can save some momey . Can you please give me advice which countries to choose to find cheap buss passes and food. We are just beginners as travelers amd budget travelers , so we would be grateful to listen some tips from you. Your guide to hostels is awesome. Thanks for sharing such informative blog. These are must read useful tips for every new travellers.